Video made in collaboration with Signe Lidén. Presented in a metal box with a built in horizontal LCD screen, slightly angled at knee height, . 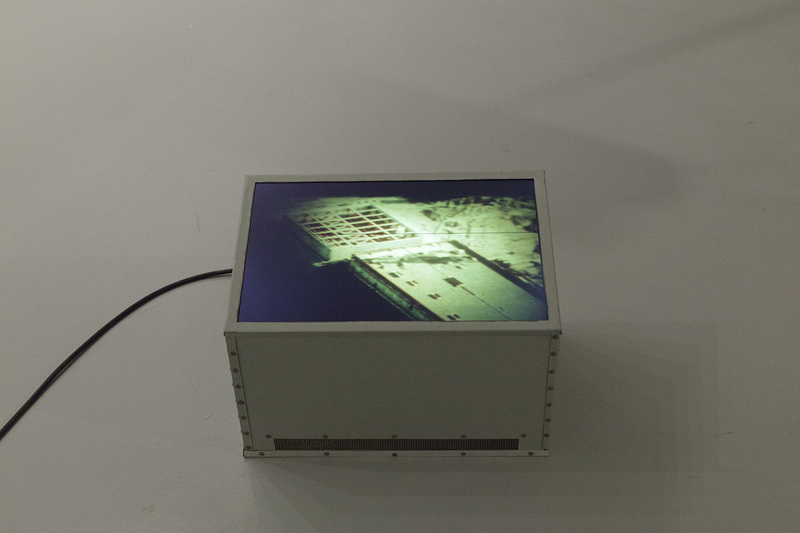 The video images are old photographic slides seen through a microfilm projector, of which we see the screen. A panning movement, achieved by adjusting the framing and position of these slides, transports the gaze around on the surface of the image. It is a slow and hesitant motion through an unknown territory. Someone is exploring the image, focusing and attempting to navigate in it, without knowing exactly what they are looking at or what to look for. The microfilm projector is recognizable through a thin black line, almost like a slit in the image, that crosses it horizontally, providing a clue for orientation. The video lasts for 32 minutes, and repeats the procedure of navigating in the image on a collection of similar slides. 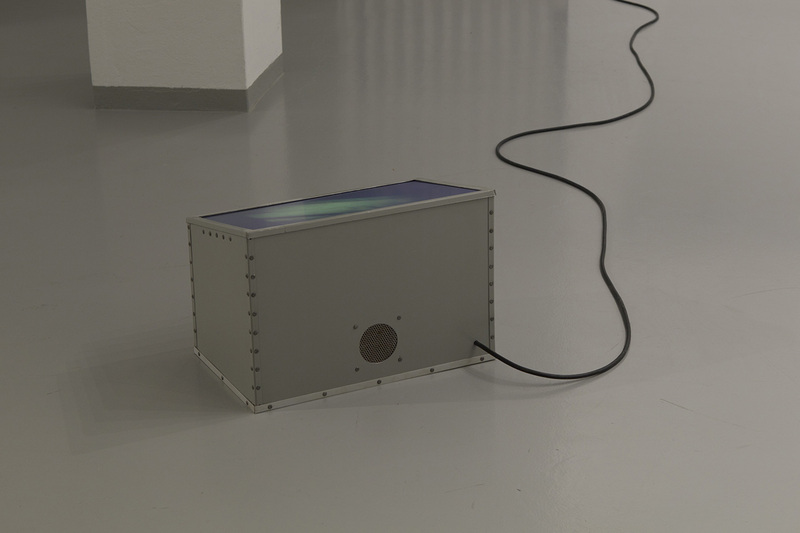 The low sound that emerges from a loudspeaker inside the box has been recorded simultaneously with the video. It adds the ambience of the recording situation, and the sound of the microfilm viewer being used, to the visual experience. Occasionally a low whispering can be heard, as two people discuss what they see. The viewer may feel that he or she is looking over their shoulder while they are exploring these visual landscapes. The slides originate from the personal collection of photographs of Kjell Johnson, found in the archives at CERN in Geneva, and were taken during CERNs first phase of innovation and construction. Together with Signe Lidén, I visited CERN as part of Re:place (2013), an artistic research project at Bergen Academy of Art and Design. This video resulted from our collaborative research there. We commissioned the box from Thomas Jansson at maschin.